Hello listeners! 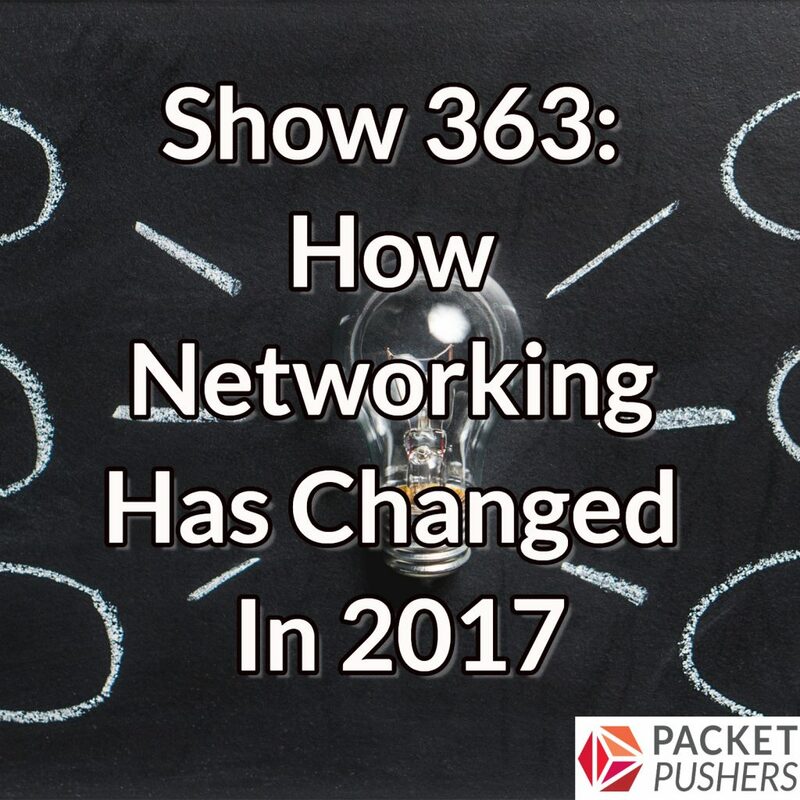 Today’s show is Greg and Ethan sharing ideas and opinions about how the networking industry has changed in the past year. Some of the topics include SD-WAN and how the technology and market is evolving, the rise of intent-based networking and why you should to think of it as a journey more than a thing you buy, and the trends shaping up around visibility and analytics. They also talk about what’s going on at Packet Pushers, a forthcoming book to which Ethan contributed, and a few projects they’re working on.